Posted by gordonwatts in computers, DeepTalk, Maps. I have become a big of the DeepZoom technology, as anyone who has been reading these posts a while knows. 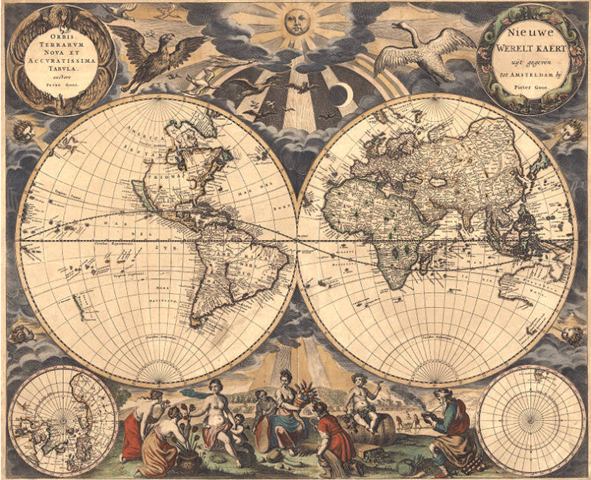 I’m also a big fan of maps – especially old ones. I’ve never been brave enough to purchase any on eBay or anything like that, but I’d love to eventually own a few and hang them on my wall. In the meantime I make use of the fantastic resources of the web. UW recently put up a small collection of old maps, from the 16th to the 19th century. Some of them are stunning. I definitely recommend spending some quality time exploring them. The default interface that is presented to you, however, is a bit of a pain. For each map, scroll down to the “detailed view” entry below the map picture and click on that. They used Zoomify to encode the images in a nice zoom-able interface. Put all the maps on a single page, with perhaps some information (and a search tool) on the right hand side. Check out Hard Rock’s example. I wish more people would do this for collections of images like these maps. It makes navigating them a lot of fun, and it is still possible to display the metadata.